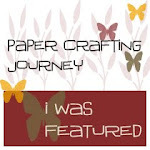 CraftyC's Crafting Library: Sweet Stampin 1st Birthday Blog Hop! I Am Giving Candy. 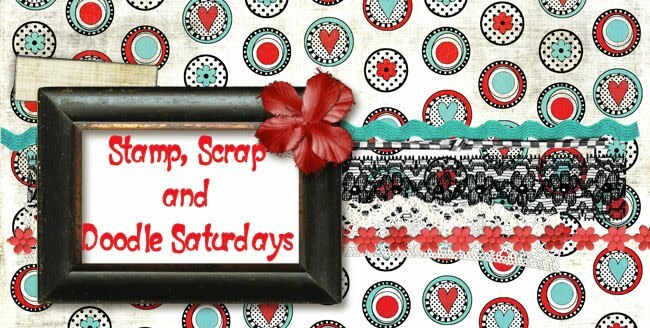 Sweet Stampin 1st Birthday Blog Hop! I Am Giving Candy. 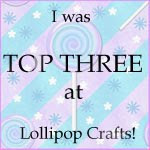 Hello Everyone, today is quite an exciting day over at Sweet Stampin! Welcome to the Sweet Stampin First Birthday Blog Hop! If you've just come from Carries Blog then you are in the right place! While you're here, please leave me a comment to enter my Candy and then hop over to Debbie's Blog next. 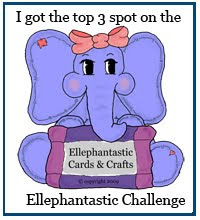 Don't forget you need to enter this weeks Sketch Challenge at Sweet Stampin to be eligible to win any Design Team Candy! 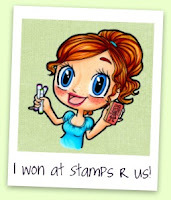 If you think you've lost your way, head back to Sweet Stampin and start from there! This is my prize for one lucky winner. For my card I used "Cuddles Christmas" from Di's Digital Downloads who are also this weeks sponsors. She's been coloured with Promarkers. The papers are October Afternoon "Good Cheer" and the sentiment is LOTV. Do hope you can join us in our First Birthday Blog Hop. I cant wait to see your interpretation of this weeks sketch! 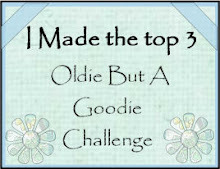 Remember to leave a comment here and post on the challenge blog to be eligible for my prize! Aww this is absolutely gorgeous hun, the image is adorable and you've coloured it beautifully. That's a stunning card Claire!! Looks really great! Beautiful card Claire,I love the image and the colours. I love this image too....aint she the cutest!! fab card...great papers too. Thanks for the chance to win your candy..yummy. Ohhh I fell in love with that image whenever I saw it. Beautiful card in great colours. Adorable. Hi sweetie I got your e-mail thankyou shug. Loving your gorgeous card that image is sooo sweet & cute & your papers are lush. I'm wishing I could enter for your fabbylicious candy lol. Awwww so sweet, I love these colours together, Wow, gorgeous all the work is amazing, thanks for joining us this week at the Die Cut Dreams Christmas Club, we're happy to have you! I keep looking at your blog and every time I see that countdown to your holiday I go extremely green. So have a wonderful time, and please post some pics so I can go even greener. Gorgeous and oh so cute. Thank you for joining us at Digi Doodle Shop's Best. Thanks for entering LCI Christmas sparkle challenge, thus letting me know of this perfect sketch, I think I'll give it a try! I love your choice of colors - and that image is wonderful Thanks for shraing your beautiful work. What a cutie Claire, love bright happy card. Thanks for playing along at LCI this week. Awww, this is so adorable!! This is full of gorgeousness, Claire!! 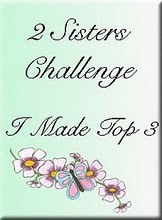 Thx for joining us at Ladybug Crafts Ink - hope to see more of your gorgeousness at our next challenge! Love the pink and green colour combo! 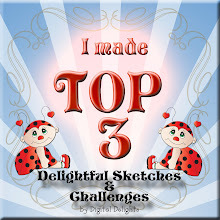 Thank you for playing along with us this week at Digi Doodle Shop's Best! SUPER, SUPER cute card; just love the image and your colors are fantastic!! 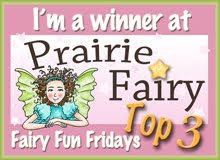 Thanks for joining LCI's sparkle challenge - hope you'll join us again next week! So cute. Great image, and i love the colors you have used. Thanks for joining us at SFTW. Stunning card. The colour combo is fab and you have coloured that cute image in perfectly. Thanks for joining our 'Snow & Snowflakes' challenge at Totally Papercrafts this week. Cute card, great color combination ! Oh Claire this is adorable - love the omage and the colours are delishious. Scrummy candy too - thanks for the chance to win. CES Dt Piece & Challenges!! 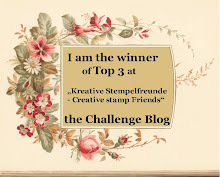 LOTV Blog Hop & Challenge!!!! Massive Birthday Thanks from Daniel! !